The training and registration is Free. All hams involved in EMCOMM with local communities and served agencies should take: ICS-100, NIMS-700 as well as ICS-200 if you are involved with any community’s EOC. “The Multiple Sclerosis Challenge Walk will be utilizing the Barnstable 146.955 repeater for their event on September 8, 9 and 10th. Ted Wright, N1OHV reports that a hidden transmitter has been deployed in the Dartmouth vicinity, and it’s waiting for hunters to find it. N1OHV says the fox is hiding in an old ammo can chained to a tree somewhere in Dartmouth. The hidden transmitter identifies every 10 minutes on 145.600 MHz. It can be heard from Routes 6 and 195. The Police Amateur Radio Team of Westford is recruiting hams to participate in the Blues N’ Brews Festival on Saturday, August 26, 2006 from 10:15 a.m. until 8:00 p.m.
Stader adds that the communications will be on FRS frequencies “but the PART folks are being asked to provide comms to WPD if necessary since cell phone coverage there is very spotty.” According to KA8SCP there is a fire department detail working the event as well. Interested persons can contact KA8SCP with any questions. The club is located on 54 Donald St. in South Dartmouth, MA For directions, visit http://tinyurl.com/ghgzg. Additional talk-in help will be available on 147.000/+600/PL67. The start time is also informal… come anytime Sunday morning. We expect to have the club and restroom facilities open by 8AM and we’ll hold the raffle at noon. At this time I can’t vouch for the availability of refreshments, but there are several drive thrus on the way in or very near by. More news on that as the date nears. We continue to be grateful if you promote the event at your local meetings, nets, web sites and newletters. Our club is over 300 strong and we openly welcome visitors at any time. Our regular club meetings are the first Thursday of the month at 7PM. We also hold a variety of daily and weekly nets that you can find schedules for on our web site at http://www.semara.org. Please mark your calendars now. Attention SEMARA members: I still need a few bodies to help with parking and cleanup. There is not much to do during te event except buy and sell, but your help even for just a few minutes would be highly valued. We also need a few people to rotate the talk-in duties on 147.000. Please contact me for arrangements. We would also appreciate that if you have items to discard that you make arrangements to take these items back with you. We will not be able to accomodate disposals of heavy iron, monitors or any type of hardware. The trash receptacles on the premise are for household rubbish. We appreciate your help in managing this. 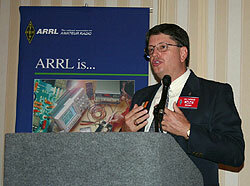 Please direct all inquiries to Tim Smith, n1ti@arrl.net. The July, 2006 EMA traffic net and Public Service Honor Roll totals have been posted to http://nts.ema.arrl.org under “Main Menu | STM Monthly Report“. 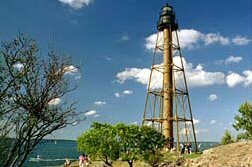 Nels, K1UR and I will be operating mobile tomorrow (Saturday, August 19) from the Marblehead Light on Marblehead Neck, MA., in support of the (International) Lighthouse/Lightship Weekend on the air. Please look for us on 3990, 7275,14320,18160, plus/minus QRM. Operating times: 14:30Z – 20:30Z. We will be using callsign K1UR. For more information about International Lighthouse/Lightship Weekend, visit http://illw.net/. Attention all Northeast Area hams! – You can work 100 countries or all 50 states in a single weekend? – There’s a way you can compete with other hams locally or on a global scale? – You can quickly gain new knowledge about radio, antennas and many other exciting technologies? – You can easily meet and interact with some of the best and brightest technicians and operators in amateur radio? The Yankee Clipper Contest Club invites you to attend it’s first “Introduction to Radiosporting – Amateur Radio Contesting” seminar at this year’s New England Division Convention in Boxboro, MA. All are welcome to enjoy a taste of radio contesting. Get the scoop on what contesting is all about. Learn how you can get started and enjoy your first contest. Mingle with others who are just getting started. Hobnob with winners of the biggest international competitions. Learn about the simple and inexpensive equipment, antennas and software that will get you started in contesting. There’s plenty of room for all who wish to attend. Come alone or bring a friend! Experienced contesters welcome, too. No need to pre-register, but let us know if you think you’ll be there. RSVP to contestingintro@yccc.org You are also invited to join us for a YCCC general meeting at 3:30pm in the Federal Room following the seminar. 73 and we’ll look forward to seeing you at “Introduction to Radiosporting – Amateur Radio Contesting” in Boxboro! “Semara’s Lowfer QRP group is planning to meet at the club house this Saturday morning at 11:00 am. From there we plan to go to and operate from Ft. Rodman [in New Bedford]. All members (and non members) are invited to join us. N1DT and K1VV plan to activate Gurnet (USA 609) and Duxbury Pier (Bug) Light (USA 251) under the call W1AA for the International Lighthouse/Lightship Weekend on August 19, 2006 from 7:00 AM EDT (1100 UTC) until about 5:00 PM EDT (2100 UTC). International Lighthouse/Lightship Weekend is held annually to promote public awareness of ham radio and lighthouses; to contribute to the recognition that lighthouses, lightships, and their keepers deserve. 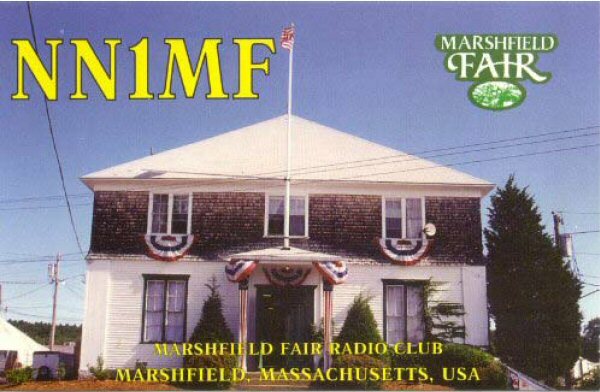 Members of the Whitman Amateur Radio Club are gearing up for the annual Marshfield Fair with a special event station and Amateur Radio exhibit booth August 18-27. Bill Hayden, N1FRE is coordinating the event. He has secured passes for all volunteers who have signed up thus far. According to Hayden, most of the four-hour shifts have been filled, but he is still soliciting volunteers to staff the event. As in years past, hams will explain Amateur Radio to the public and introduce youngsters to Morse code. Last year, the crew made approximately 150 contacts with 31 states, 15 foreign countries, and two Canadian provinces. A reminder that the monthly ARES Net for August is rapidly approaching. The monthly ARES Net for August is Monday August 7th, 2006, at 8:30 PM on the MMRA Repeater system. This is after the RACES Nets earlier in the evening. After five years of successful events, the Boston Triathlon now takes its place as a “tradition.”  Ham radio has established its community value at times like these. We have been asked again to support safety communications. With a little fine tuning, including many ideas from hams, the event is expected to be even better than last year. For those who have done this event before, you know the road conditions still call for our best support for the athletes. We need you again, and the Race Director has asked for even more ham help (that’s what happens when we are appreciated). The triathlon consists of a swim in the harbor around the World Trade Center (WTC) in South Boston; bike from there through downtown Boston, Charlestown, across and around Cambridge, and back to the WTC; and run from the WTC into and around the Marine Industrial Park and finish at the WTC. Exhausting? Yes for the racers, no for us hams. The ham start time is governed by road closures and access to the station locations. It is important to be at the assigned locations on time (even if you are the first one there) – the triathletes move very fast (I don’t know how they do it), so the course is occupied quickly. Yes, I know it is the day before Labor Day. The upside is it starts early and ends early, leaving plenty of time to enjoy the long weekend. Your help is greatly needed to continue this as a superb event and to uphold our reputation for dependable support. Our assignments consist of monitoring hazardous and critical locations along the course, and the medical/support stations. As we did last year, we plan to use a 2-meter repeater and/or a 70-cm repeater. Hand-held with a good battery is the way to go. Even if you don’t have a lot of experience with ham radio public service, this is the way to become familiar without much pressure. If you can help, please contact me as soon as possible. I will email the assignments and more detail as soon as they are available. For most assignments, you can go directly to your station. Time is short, so please let me know quickly if you can help. If you reply from an email address other than the one best for you, let me know. Also, please send me a phone number (cell, also). Parking should be available very close to each assignment. Feel free to contact me if you have any questions. **  16 September – WGBH Ice Cream FunFest – Logistics management, ham radio public awareness. **  8 October – BAA Half Marathon – 13.1 miles, 98% in Boston, 2% in Brookline. The K1USN Radio Club will participate in an open house event on Saturday, August 5th from 10 AM-2 PM at the Watson Library and Research Center on Quincy Avenue in Braintree. Light refreshments will be served. The Braintree Historical Society plans to show area residents the progress made with renovations at the Center. The official grand opening should take place during the month of September. According to K1USN’s Harold L. “Pi” Pugh, Jr., K1PV, “All are welcome to attend and we plan to have K1USN on the air for some HF and VHF demonstrations at our new location.” Pi invites all interested parties to drop by and say hello and/or operate. For more information, visit http://www.qsl.net/k1usn. On August 2, Terry Stader, KA8SCP received a request for Amateur Radio communications assistance for a shelter in Westford during the recent heat emergency. Stader sought at least two people to staff two shifts, six-to-eight hours in length. He polled members of the Police Amateur Radio Team of Westford and others in the area. A total of five amateurs volunteered: WI1R, AA1VS, WA1VIE, K1LJN and  KA8SCP. 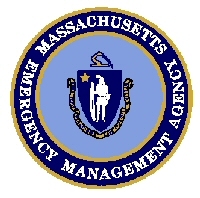 “Coincidently, these folks are also Community Emergency Response Team members in the Merrimack Valley,” writes KA8SCP. Stader adds that it was originally “only going to be for a couple of hours” but ended up being all night. Once the electric company repaired the outage, the woman was transported back home and the shelter operation was closed about 4:45 AM.